Dental implants, artificial teeth attached to surgically embedded anchors, are among the best and most reliable methods of replacing missing teeth. 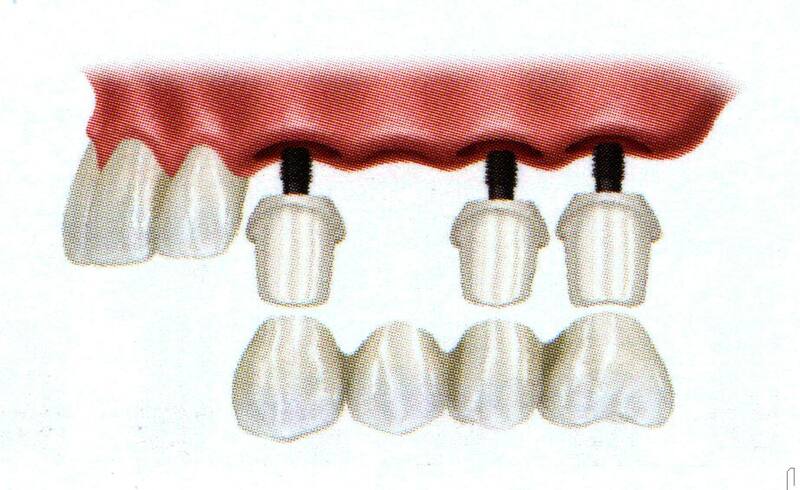 Unlike removable dentures or bridges, dental implants are surgically inserted into the jawbone; the titanium implants then fuse to the jawbone through a process known as “osseointegration.” An abutment is then placed by an implant dentist and fitted with a crown to ensure the most natural appearance possible. If you are considering dental implants and looking for a qualified implant dentist in the Fairfax and Arlington region of Northern Virginia, Dr. H. Charles Jelinek can help. He will refer you to one of the select oral surgeons he trusts to perform the implant surgery and will then fit you with natural-looking, custom-crafted replacement teeth. If you’re looking for a more permanent alternative to traditional bridges and dentures, dental implants may be the ideal solution for you. Dental implants are preferable to both removable dentures, which may contribute to the loss of bone marrow, and fixed bridges, the placement of which may damage adjacent teeth. 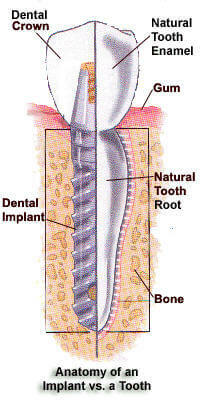 The placement of dental implants is a team effort requiring the services of several specialists. The clinicians involved must be highly qualified and meet the highest standards of dental care. However, dental implants are not for everyone. An ideal candidate must be in good health, have adequate alveolar bone, and be willing to commit to regular dental visits. Dr. Jelinek would be pleased to meet with you for a complimentary consultation, during which he will assess your candidacy for dental implants and help you determine whether they’re right for you. If you have a dental problem, Dr. Jelinek has a solution. Visit our Northern Virginia implant dentist to find out whether dental implants are right for you. We serve patients from Fairfax, Arlington, McLean, Tyson’s Corner, Vienna, Alexandria, and surrounding communities. What are the steps in placing the Dental Implant? Why should I replace may missing teeth? What is the importance of Dental Implants? Contact us for more information about Dental Implant Restorations.